Just like gardens need water and sunshine to grow and prosper, Pacific Northwest Ballet needs your help to thrive and bloom. Arts funding in our community is rapidly changing and your support plants the seeds that make us grow. Please consider making a personally significant gift to the ballet today. Gifts of $100 and up will be entered to win one of 100 pairs of tickets to PNB’s Season Encore Performance celebrating Rachel Foster and Jonathan Porretta on June 9! Winners will be chosen on May 22. A Midsummer Night’s Dream has been part of my life in ballet for as long as I can remember. From student roles at School of American Ballet to my soloist debut as Puck at Hollywood Bowl and many unforgettable performances here in Seattle, this work has left an indelible imprint on my career in dance and has given me countless moments of joy. PNB has been my artistic home for 20 years, and a place where I have flourished as a performer and a person. Please join me in showing your support for this incredible organization by contributing to PNB’s spring appeal. If you make a gift of $100 or more you’ll be entered-to-win one of 100 pairs of tickets to my last PNB performance on June 9 at 6:30 pm. I hope you’ll help your ballet bloom this spring, because I’d love to have you join me at my final show! 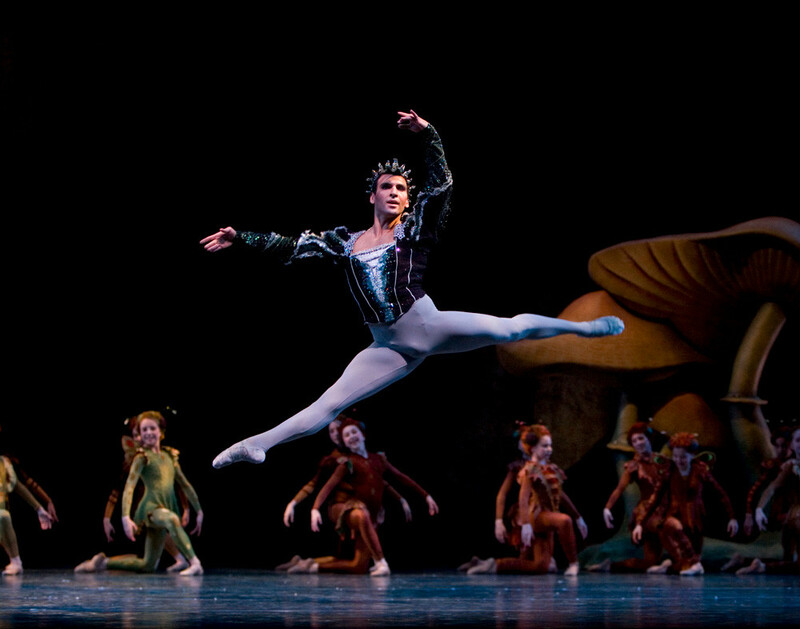 Jonathan Porretta in A Midsummer Night’s Dream © Angela Sterling.